Kitchen remodeling not only adds time to your enjoyment of your house but also can add significantly to the value of your house. For most of us, the kitchen is a place for doing homework, creating and sharing meals and conversing with family members. Creating the right atmosphere in this vital room of your New Jersey home is essential. At Griffith Construction, we specialize in providing you with remodeling options designed to suit the way your family lives today. Our comprehensive range of repair and renovation services can help you enjoy the greatest comfort and the most practical solutions for your kitchen. As the leading kitchen remodeler in the northern New Jersey area, Griffith Construction can install countertops and backsplashes that can enhance the functionality and appearance of your kitchen and deliver the results you want at a price your family can afford. Whether you need replacement for a damaged countertop or an entirely new installation, we can provide the best solutions for all your kitchen updating and remodeling needs. 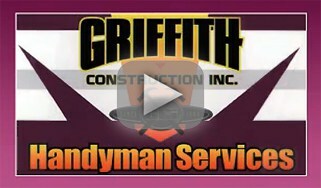 Griffith Construction has years of experience in installing and replacing linoleum and tile floors. We can replace a few missing or damaged tiles or provide you with an entirely new kitchen floor, allowing you to complement your décor and create a safe and comfortable environment for your family. 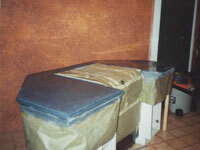 Our team will work hand-in-hand with you to ensure the most beautiful and durable results for your new kitchen floor. Our expert carpenters can repair your kitchen cabinets to restore them to full function and to ensure the safety of your dishes and other stored items. 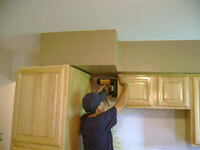 We can also build new cabinets to expand your storage space and to help you make the most of your kitchen. 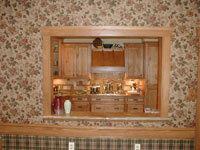 By adding shelves and cabinets, you can enjoy the kitchen space you’ve always wanted at a price you can afford. If you are expecting a new arrival, preparing for the pitter-pat of little feet should include childproofing your entire home. Griffith Construction can provide you with expert assessment and recommendations to safeguard your kitchen and ensure that your little ones are protected against the dangerous tools and chemicals stored in this room of your home. To discuss your kitchen remodeling project or to request an estimate for your job, please call Griffith Construction at 201-493-9999 or 973-831-6102. 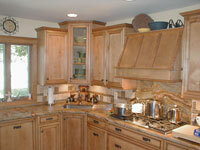 We are ready to help you make the most of your kitchen and your entire New Jersey home. Contact us to get your small or big job done.